The estimated market price of a property as determined by a real estate broker or other qualified individual or firm. A broker price opinion is based on the characteristics of the property being considered. One key element of the BPO is that it is designed to be free of influence by parties who have a vested interest in the transaction. How is a BPO done? Some of the factors that a broker will consider when pricing a property include: the value of similar surrounding properties, sales trends in the neighborhood, an estimate of any of the costs associated with getting the property ready for sale and/or the cost of any needed repairs. It is important to note that a BPO is not the same as an appraisal. What are the two basic types of BPO? There are two major categories of Broker Price Opinion s, the Exterior BPO and the Internal BPO. The exterior or drive-by BPO reports are less expensive than the Internal. The BPO agent needs to visit the property in person and take photos of the home and neighborhood, paying special attention to any obvious defects on the outside. They do all the research to establish a market price. The quality and time of the inquiry into the comparable property’s prices make the BPO a value to the client. Some of the information need to give a BPO price are the location, neighborhood, conformity to neighborhood and zoning, property type, style, approximate age, visual condition of all individual exterior features, whether it looks occupied, parking issues, lot size, estimated square feet, estimated room count, comments, three recent sold comparables with info, sometimes three currently listed comparable properties and many photos taken. The internal BPO is definitely more involved and can also vary in tasks. The internal BPO requires contact with a homeowner and or a tenant to get inside the house to do the inspection and photos for the BPO. They may not be aware of the situation for which the BPO is ordered. The interior BPO might require that you verify things like square footage and room count rather than estimate them. Some tasks of an internal BPO are individual room measurement, overall square footage measurement, inspection of interior features’ conditions, more thorough value adjustments in comparables, individual photos of interior damage, repair estimates and room count. What is the different between a BPO and Appraisal? In most states, only a licensed appraiser is authorized to offer a professional opinion as to the value of a property. A real estate broker will be asked to offer an opinion regarding the real estate market price. This is a fine distinction, but perfectly legal, as long as labeled as such. Real estate appraisers determine property market value. A BPO determines a recommended property price. A “market valuation,” is the work of an appraiser. Here are a few reasons why people, lenders and companies order BPOs. A lender notes that a homeowner has missed a payment. The homeowner is doing a loan modification. A BPO may not be used for this purpose in some states. A homeowner is trying to do a short sale. The property owner wants to check to see if the PMI can be removed. A BPO may not be used for this purpose in some states. 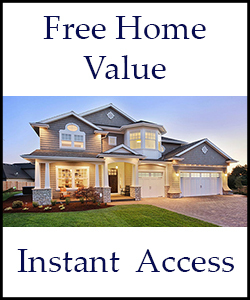 A homeowner wants an opinion of value and wants more info than a CMA. The mortgage loan is being sold in a portfolio and client wants to know current value. A bank or REO has subject listed and wants picture of the current market. A homeowner is trying to refinance. A BPO may not be used for this purpose in some states. A bank or BPO Company has ordered a 2nd or 3rd BPO to ensure accuracy of the first BPO. And any person or company that has an interest in the property and wishes to know the current condition and or current market price of the property. Another reason to get a BPO is they can be based on “as-is” or “as-repaired”. This is a powerful insight into the property’s pricing plan. Is the property worth repairing or just sell “as is”? BPOs are ordered by banks, lenders, REO companies, real estate investors, home owners, and any individual or enterprise that wants to know the condition, document the property with photos and have a real estate market price of a property. The lenders and companies that hire real estate brokers to do BPOs, or Broker Price Opinions, have very specific requirements. The scope of each BPO is set by the person or entity hiring the BPO professional to perform the Broker Price Opinions document. 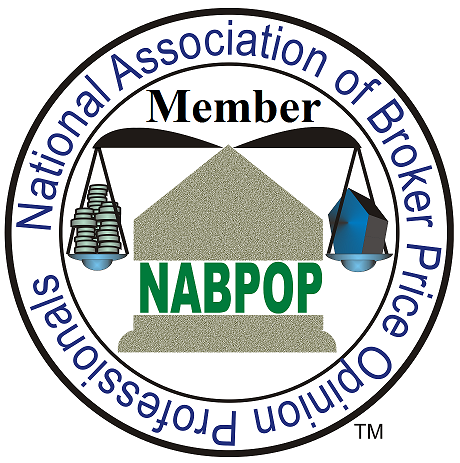 Coffee Real Estate is a member of National Association of BPO Professional NABPOP. Daniel Parisi is C-REPS – Certified Real Estate Pricing Specialist. 0 Responses on "BPO Sacramento and Placer County Broker Price Opinion"